A Wood Chipper is a machine used for reducing wood (generally tree limbs or trunks) into smaller woodchips. They are often portable, being mounted on wheels on frames suitable for towing behind a truck or van. Power is generally provided by an internal combustion engine from 3 horsepower (2.2 kW) to 1, 000 horsepower (750 kW). 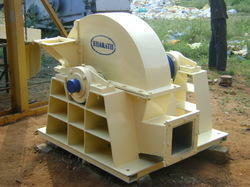 Being a most reliable organization, we are engaged in offering a wide range of Wood Chip Classifier. 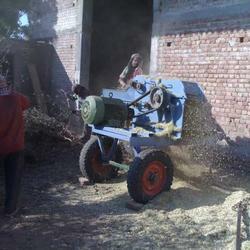 Dynamic agro machines wood chipper powder mill. We are a prominent organization that is engaged in offering customers with Wood Chipper. SUPER FAST INCREDIBLE WOOD CHIPPER. Uniform chips from waste wood or whole logs are produced in ‘SSHM’ Disc Wood Chipper. These machines are proven by decades in operation to save mills money by requiring little maintenance while producing high-quality fiber with minimal fines or pins. It is used to cut the biomass into chipped form. It can be mounted with tractor and easily moveable from one place to another. Ronak Agrotech Engineering Pvt. Ltd.